Year: 1958 Item #: 1532 Views: 5,665 Comments: No Comments. Seek!.. 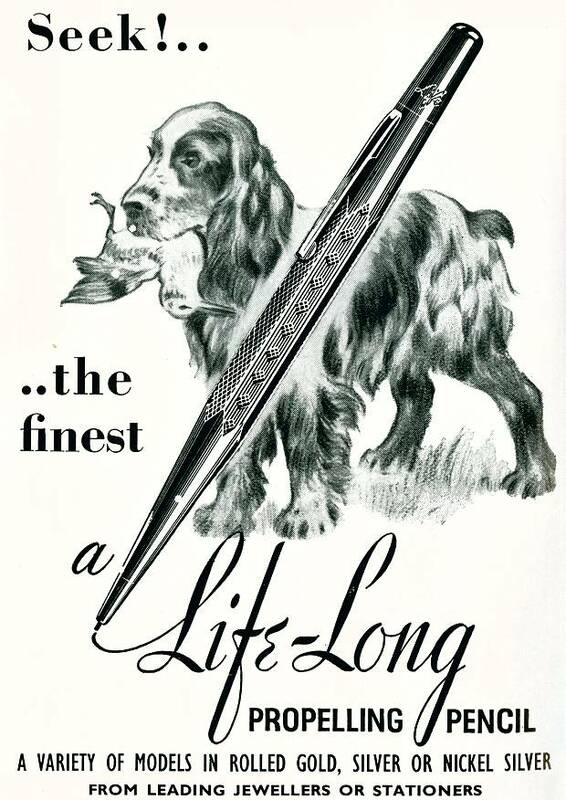 ..the finest Life-Long propelling pencil. A variety of models in rolled gold, silver or nickel silver from leading jewellers or stationers.